Cuney Robbins Jr. obituary. Carnes Funeral Home. 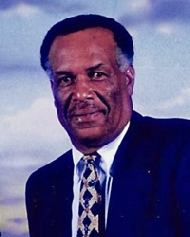 Cuney Robbins Jr., was born on September 14th, 1938 in Bay City, Texas to Cuney Robbins Sr., and Pearl Brown. He accepted Christ and was baptized at an early age. He attended and was a longtime member of Lakewood Church. He retired from I. L. A. Local #20. After retirement he enjoyed traveling the Country in his RV with his loving wife. He was a member of the Texas Rollers RV Club for twenty years. Cuney passed away quietly at Bayou Pines Care Center on October 14, 2017. He was preceded in death by his parents and two sisters. Cuney leaves behind a devoted wife of fifty-three years, Ruby Robbins; one brother, Charlie Wyche; five sisters-in-law, Doris (William) Howard, Louise Lee, Gloria Hammon, Thelma (Robert) Foster and Daisy Dix; a host of nieces, nephews, other relatives and friends. A memorial service will be held Saturday, October 21st, 2017 at 11:00 a.m. at Carnes Funeral Home, 3100 Gulf Freeway, Texas City, TX 77591.